The cast of Cabaret National Tour has already arrived in Providence and is getting ready for the opening on the 26th of January. The musical is scheduled from the 26th to the 31st of January at the Providence Performing Arts Center. CW28 posted an article with a bunch of photos from a meeting to introduce Cabaret, held on January 21st at the PPAC. 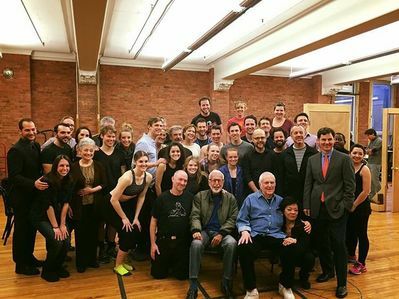 We added to our gallery a photo of the whole group from Cabaret, taken on the last day of rehearsals at the Gibney Studios and posted on the musical's official Instagram. The cast of the Cabaret National Tour has arrived in Providence and will perform there from the 26th to the 31st of January. 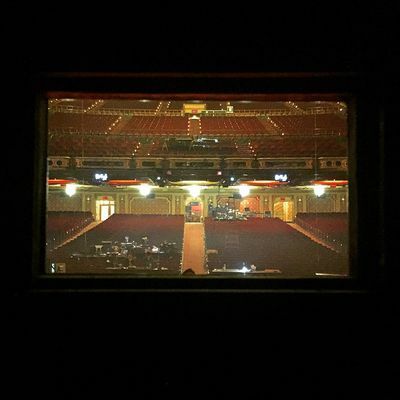 Randy posted on his Instagram a photo of the Providence Performing Arts Center. Every year the Boston Gay Men's Chorus organizes a fundraiser to support the Group's activities. The event, called Crescendo, will take place at the W Boston Hotel in Boston, starting at 7.00pm. 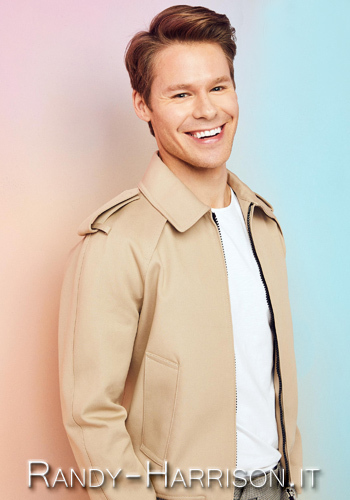 This year the BGMC will have The Skivvies and Randy Harrison as very special guests, scheduled to perform at 9.20pm. For info, tickets and donations click on the photo below. 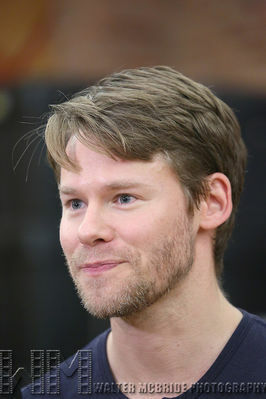 We've seen a glimpse of Randy's performance in Cabaret during the press preview on January 8th and we think that he's simply amazing. Claudia Catania, his voice teacher, defined Randy "delicious" in the role of Emcee. 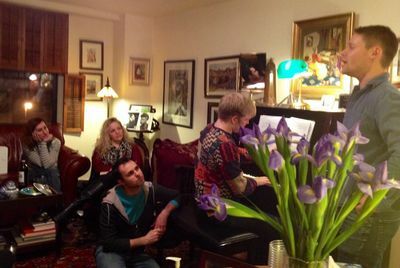 She's posted on her Facebook a photo with Randy and Ben Houghton with the caption "a little Cabaret to end the day". We also added to our gallery a photo of Randy during a singing class on February 27th 2014, from Claudia Catania's Facebook. 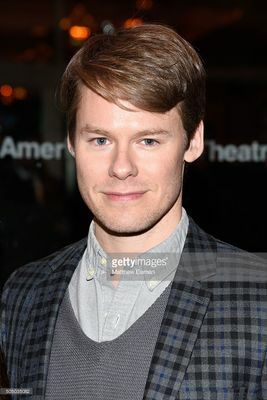 Last night Randy, along with his co-star in Cabaret, Andrea Goss, attended the opening of Noises Off at the American Airlines Theatre in New York. Cabaret : one more video! 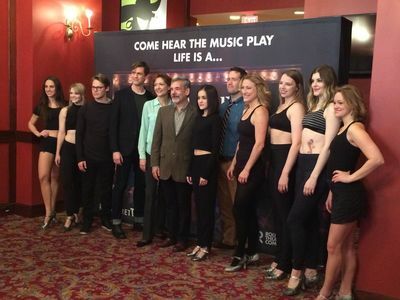 We have another video from Cabaret National Tour Media Day ! theatermania.com uploaded on their Youtube channel a video interview with the cast of the musical and some sneak peeks of the performance! Besides the video of Randy performing Wilkommen, playbill.com published an article with a bunch of photos by Joseph Marzullo from the Cabaret National Tour Media Day at the Gibney Studios in New York. Click on this LINK to read the article and view the photos. After those amazing photos from the Cabaret National Tour Media Day, we have three videos. 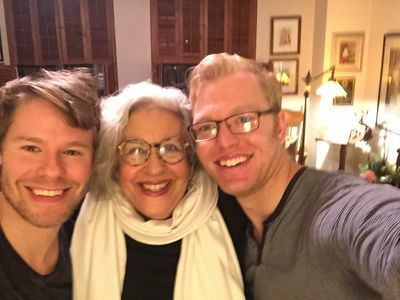 The second is from broadwayworld.com and contains interviews to Randy and some of the cast, and several minutes from the rehearsal of Wilkommen , Don't tell mama and It Couldn't Please Me More . 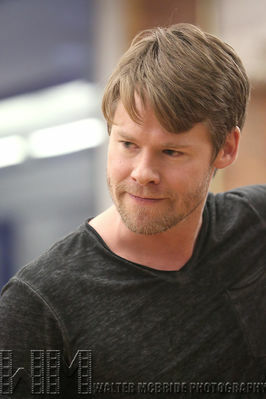 We added to our gallery a lot of new and amazing photos of Randy from "Cabaret National Tour Media Day".